This book traces the changing and long-term history of the vast Brahmaputra valley region, that has distinct languages, faiths, monastic traditions, and lay-monk relationship, in different orders and gender and household relations. It examines the political and economic order of Buddhist, Vaisnava, Saiva, Tantric, and Sufi teachers and their disciples, students, and adherents in the northeast India. In the course of the nineteenth century, war, changes in revenue regimes, and the growth of the plantation economies fragmented this landscape and dissolved the relationships. The economic and military processes also reshaped the moral-political economy in which wives of monastic males, female cultivators and labour-servants were the key constituents. These substantive changes were obscured by the language used by colonial officials to describe monks as 'savages', and female-dependent communities as 'primitive tribes'. After the formation of the new nation, Indian historians and anthropologists began to write histories using colonial terms. 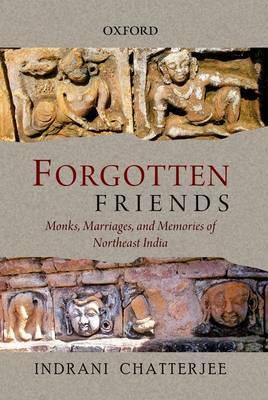 In the process, both colonial and postcolonial historians erased the erstwhile monastic relationships across the region. They contributed to a widespread forgetting of the women who had made it all possible. The study examines how the new nation as well as its new history rests on many layers of forgetting.